Just what would you expect to pay for luxury 2 bedroom apartments in Broadbeach? Hundreds of dollars per night? That’s a fair assumption but it’s not actually true. The fact is you can find amazing deals on Broadbeach luxury apartments when you know where to look. There are several websites where you can find great deals on apartments as well as really helpful reviews. And remember, these are reviews by real guests, so you can trust them. Let’s take the Phoenician Resort Broadbeach as an example. It has received more than 1300 guest reviews on TripAdvisor and has a 4.5 Star Rating. That’s excellent. It receives top marks for location, cleanliness, service and value. You can also score great price packages by visiting the resort’s website and clicking ‘Specials’. 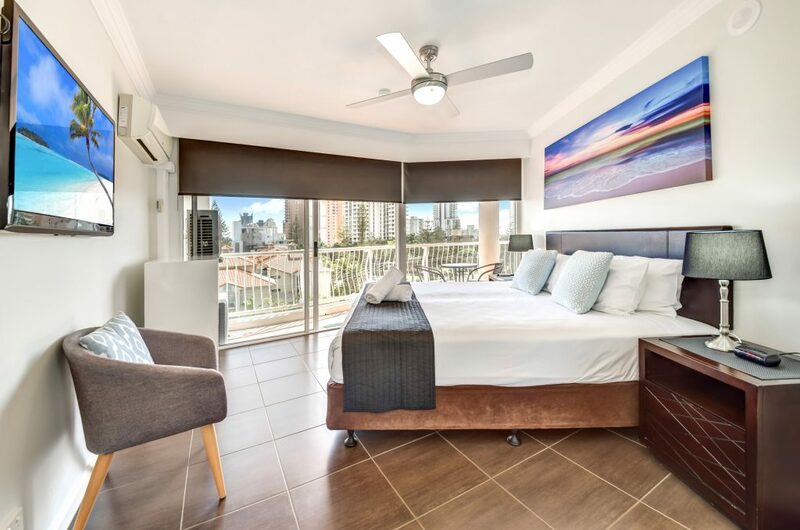 Some deals go all year round; for example, you can get 15% off the price of 2 bedroom apartments in Broadbeach when you book three nights or more in a garden or courtyard apartment. You can also score low prices by booking extended stays in the low season. Book one to two months and only pay $700 per week – it’s cheaper than staying at home! There are winter deals, November deals, May Madness, you name it there’s an excuse for a discount! You can even score free unlimited Wi-Fi. You might be wondering how this could possibly work; how can you book top-rated resorts at such low prices? Some people call it supply-and-demand but the way the resort owners see it if you’ve got rooms you may as well fill them! This theory might not work in the southern states, where low season means COLD, but on the Gold Coast, it’s summer every day. The resorts, the restaurants, theme parks, beaches and other great attractions are open all year and there are more than 300 days of sunshine. What more could you ask for?